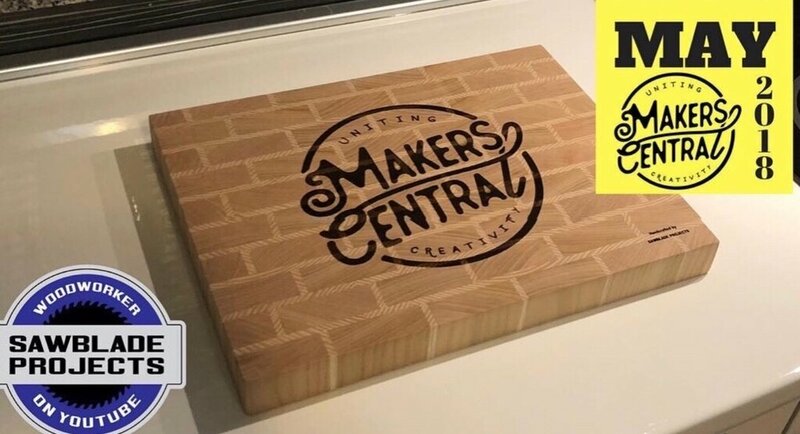 Tonight’s maker is well known in the community not only for his beautiful yet functional cutting boards but also for his friendly and helpful manner that definitely comes across in his You Tube videos. 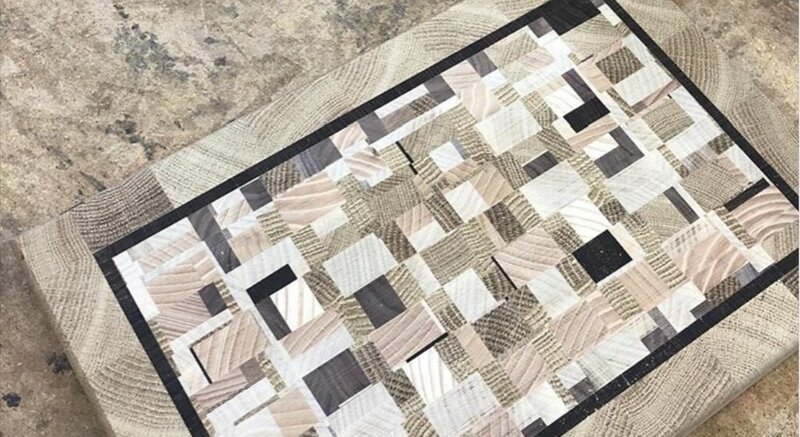 Franc Sumandl of Sawblade Projects started his woodworking path by being a homeowner, needing to make repairs and updating his home. Lately we can watch this part of his talents as he has done a major landscaping endeavor this Summer. I am in awe of Franc’s tablesaw, a Mini Max Sliding Tablesaw. Franc plans to build some furniture one day and will easily accomplish that task with his MiniMax! (Go check it out!) He did build the cute lego chair pictured below! If you look closely on the top of the chair, you can see the LEGO knobs! Making his cutting boards, Franc has a good eye for what woods go together best! He uses a good variety of ash, cherry, oak, walnut and exotic woods for his creations. Of particular interest to me were the rounded inlays in the last cutting board pictured here. I found the answer in several of his You Tube videos which can be found on the Sunny Side of the Alps and in the links below! Be sure to check Franc out and Subscribe!